Everybody’s digital workflow is slightly different. The subtle differences are what differentiates the end products, the indications, and how it fits an individual lab or clinician. This post is going to describe one such workflow, and details the intended uses of the end product. We started looking for a digital solution for complete dentures a couple of years ago, and for several years, we were constantly let down because systems and small nuances of the procedure weren’t what we had in mind for our clients. We were looking for a digital solution that would allow our clinicians to continue using materials they were comfortable with, and procedures they had already come to master. We weren’t looking to change everything about the way they did dentures, because that would require total relearning of how to take impressions, and how to provide information to the laboratory. We decided we would start from a conventional impression, not require new impression taking techniques to be introduced unlike some of the proprietary systems that were being pushed on the market. This would allow the clinician to use trays and impression materials they already had on hand, and not have to invest thousands into new stock just to get into the digital realm. The clinician would send the impression to the lab, and we would return conventional occlusal rims for record taking. So far, these were the same steps as had been practiced for decades. It’s a popular industry controversy, but for good reason, because it is extremely important for a good fitting denture. Additionally, the technologies that stitch together the images of the digital impression are great for static structures, such as when teeth are present, but we have seen convincing research that shows when the digital impression tries to stitch together the edentulous arch, there is significant distortion of the image file. The technology just isn’t there yet, even though the manufacturer of the hardware might tell you it can be done. This time next year, we may have a different opinion, but as of today this is where we’re at. After the clinician concludes a conventional record taking appointment, the lab begins the digital workflow. We scan the master casts. 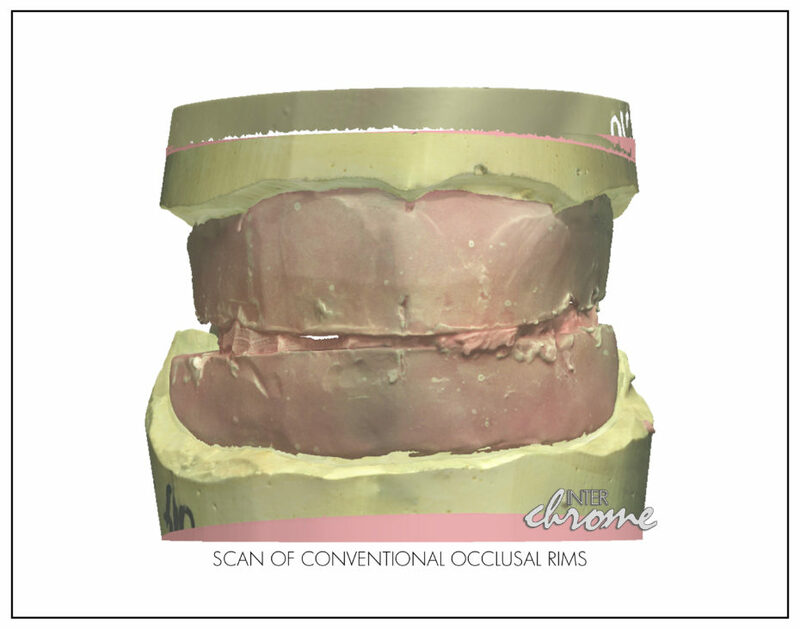 We scan the occlusal rims. We relate the arches to one another in virtual 3D space. 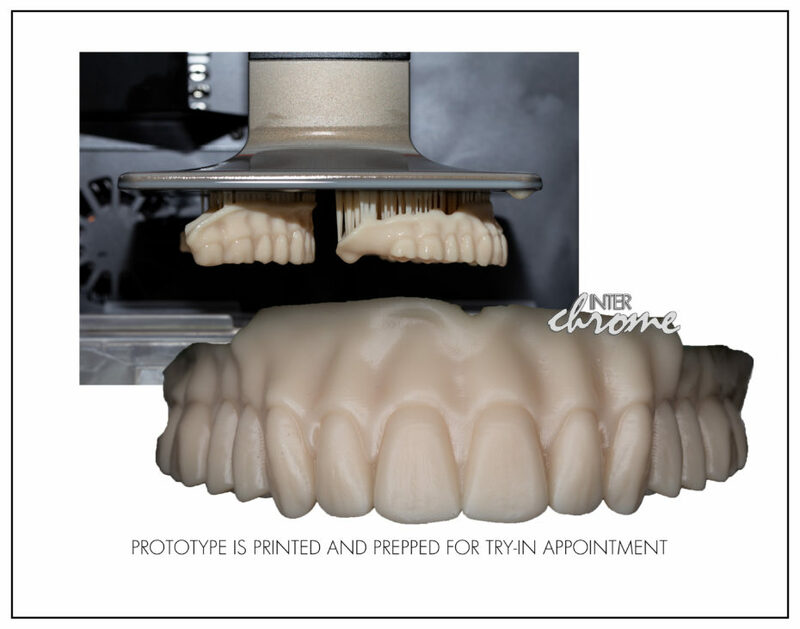 We create a virtual denture setup, and print a monolithic prototype that can be tried in. It arrives back to the dentist ready for trial, and to evaluate all specifications including the bite itself, the midline, incisal edge position, tooth mould and arrangement, esthetics and speech. About the only thing that is different from a conventional try-in is that the actual teeth used in the final denture are not a part of the prototype. Instead, they are included with the case for shade evaluation, and of course they perfectly match the mould chosen for the prototype, and they will be incorporated into the final denture. If changes need to be made, they are communicated to the lab, and we re-design the setup to make corrections, and print another prototype for denture try-in. 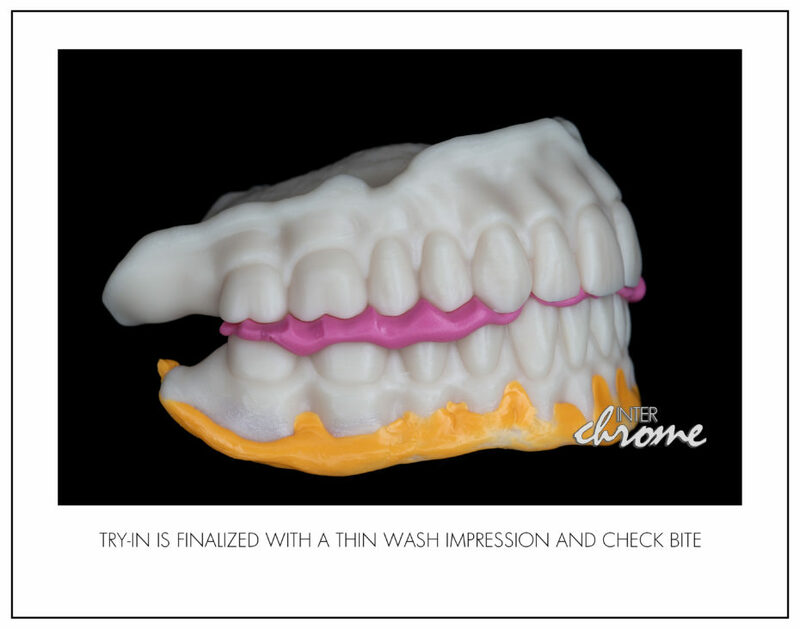 If the try-in is a success, and it is ready to go for final processing and finish, we ask our clinicians to at least take a thin wash impression inside the printed try-in. This is because we can use this step much like a custom tray, and oftentimes improve retention by doing so. We’ve even seen some cases where the dentist has bordermolded the printed tryin to extend flanges or the palate so that more information can be incorporated into the fitting surface of the finished denture. It comes to the lab, and we process the final case and return it ready for delivery. 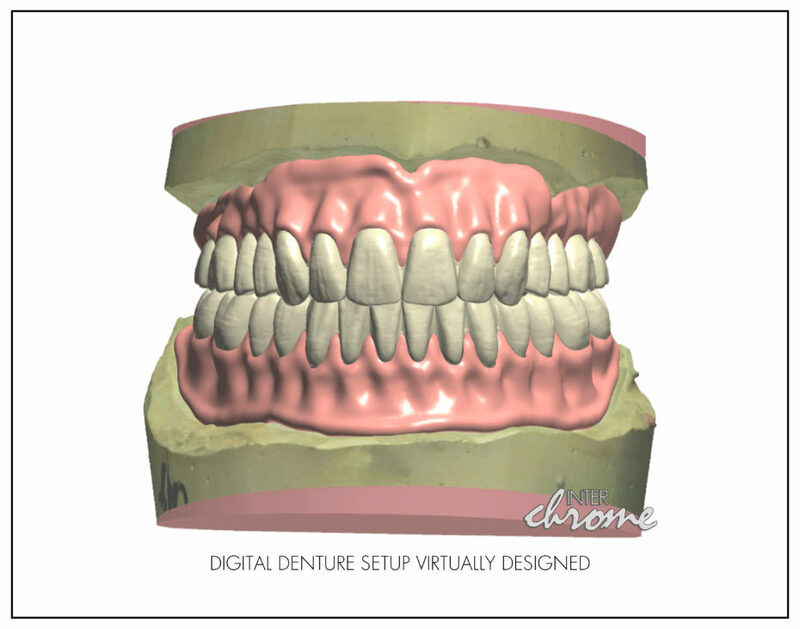 Depending on the situation of the individual patient, you may have different demands for a digital denture. Maybe it is an immediate that the patient will heal in post-surgery. Maybe it is a final denture. Maybe you need to make a duplicate denture. 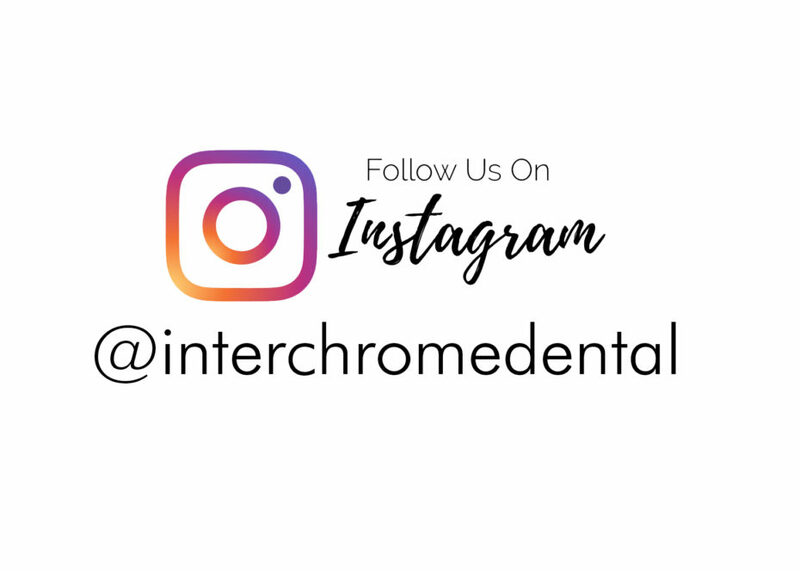 Whatever the indication, a digital denture can answer your needs, but you must address the most important detail in order to do that, which is your choice of material for the denture teeth. One major problem with digital dentures at the start of 2019 is finding a material for the teeth that is resistant to wear and that passes the test for esthetics. 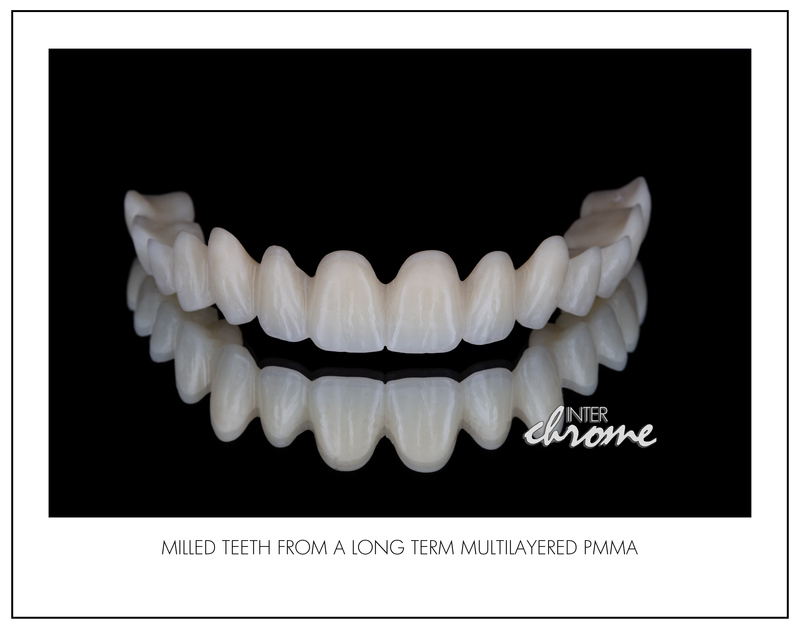 We could simply print teeth out of a crown and bridge resin, or mill them from a PMMA puck, but they will wear far quicker than even an economy denture tooth. Presently, almost any manufactured denture tooth on the market will outlast these resins. 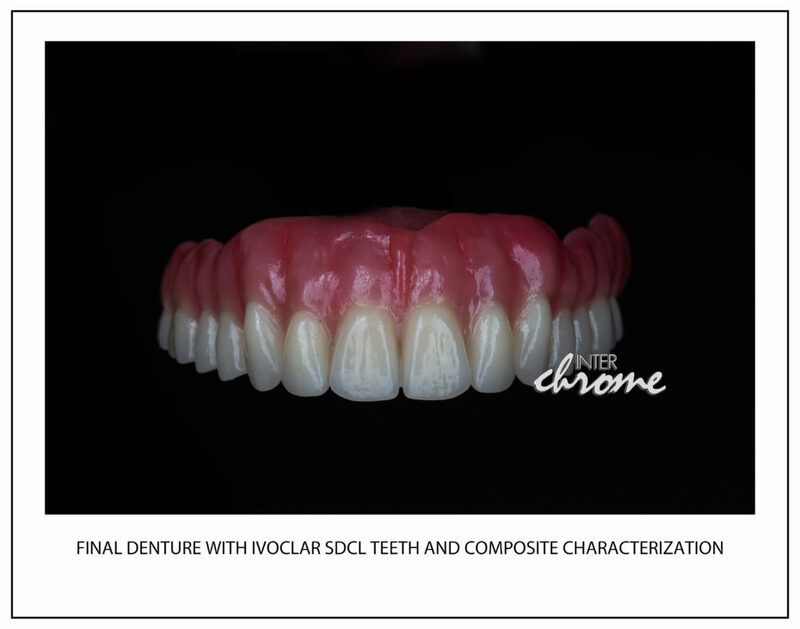 This is due to the fact that the dual cross linked acrylic and composite denture teeth are more dense on a molecular level, and don’t abrade like an unrefined resin. 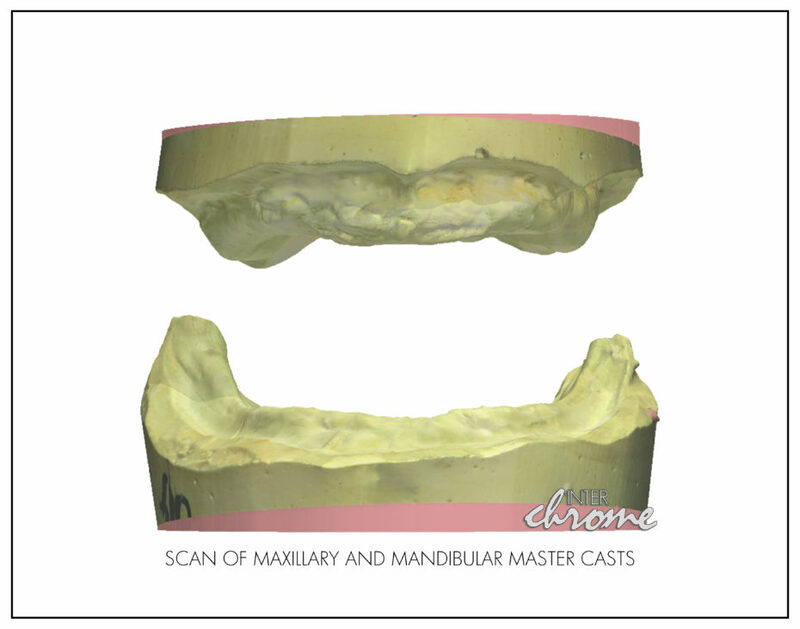 Another problem with printing or milling the teeth is that we are still not satisfied with the esthetics. For a very temporary provisional denture, or immediate interim, just printing the teeth out of resin is an option, because we can do so at a reduced cost of materials, and after all it is acting as just a band-aid . But if the patient is going to wear the appliance for any real length of time, then we at least have to think about milling the teeth from a multilayered puck, or better yet, incorporating real denture teeth back into the case once it is ready for processing. We’re constantly looking for new tooth materials coming to market with an FDA approval that will answer the shortcomings of present resins and PMMAs. We feel confident that in one or two years time, this problem will be in the rear view mirror. If it were up to us, every patient would end up with a digital denture with real denture teeth, not printed or milled. You can then really customize your denture with composites, and be known as the best and most savvy denture provider in town. 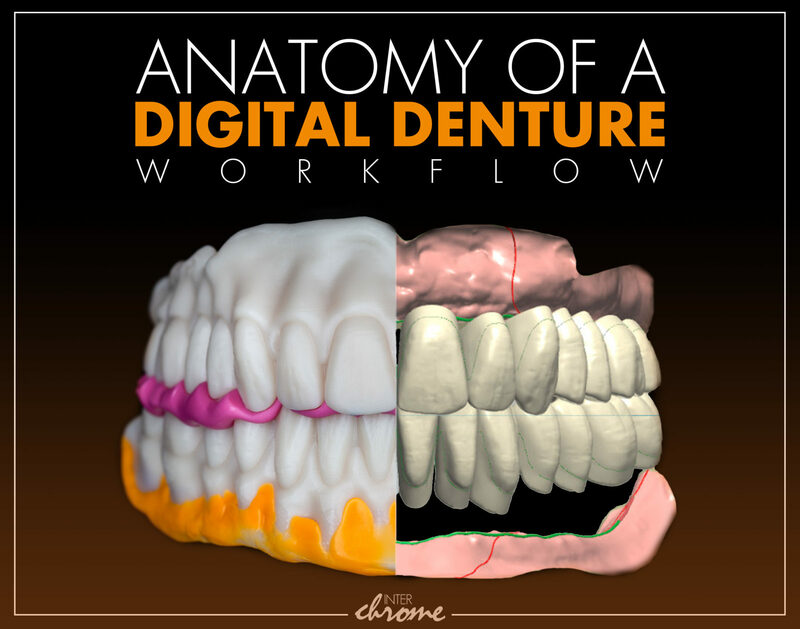 As you are thinking about entering the digital realm for your denture workflow, remember that digital is just a tool to get to the end product, and if incorporated correctly it can really improve your denture experience from a clinical point of view, as well as provide a more enjoyable experience for your patients. Contact us for your next denture case at 757-271-5811, and regardless of what workflow we employ, we’ll help you look like a hero to your patient! Tagged Complete Dentures, Denture, Digital Dentistry, Digital Dentures, Digital Workflow.